We are at a very exciting time, with Pilcot allotments open, Edenbrook allotments in planning, and other sites starting to become available around the Hart district. To help those beginning their first plots, we’ve found some reading which will help you get going with designing and planning your plot! For ideas on what can be done on your allotment each month, click here! There are other helpful sites on the Links page. We have created some new H&S advice documents – click the links below to have a look. There is also an updated Health and Safety Policy document in the Rules and Regs section. H&S Information – General Guidance for Plotholders. A document has been created collating the answers to all the questions members have asked regarding Pilcot allotments. The document is indexed so you can click on the area you are interested in and go straight to that part of the document. The document can be viewed here. Pilcot Farm – Hart Allotments’ first site at Pilcot Farm, which is on Hitches Lane in Fleet, has been up and running since May 2014. All plots are currently occupied but we have had a few become free for various reasons which are then offered in order to those on the waiting list. If you are interested in joining the waiting list for a plot at the new site then please fill in and return the HAA membership and plot applications form for Pilcot Farm. You can view a satellite photograph of the Pilcot Farm site here. Edenbrook allotments – the builder has included plans for allotments in the planning permission application for Phase 2 of the Edenbrook development; Hart Allotments are in discussion with the builders and the council for the construction of these allotments. Availability time-scales for these allotments remain unknown, however if you wish to be considered for these allotments when they are available then please apply to be on our waiting list. Church Crookham – 120 allotments on the old QEII site – opening early Summer 2015 for Church Crookham residents on the electoral roll. If they don’t get take up then they will extend it out to CrookhamVillage and Ewshot and some GU52 areas. You can see further info here. Elvetham Heath Allotments – 20 small size plots, site now up and running, and fully allocated. 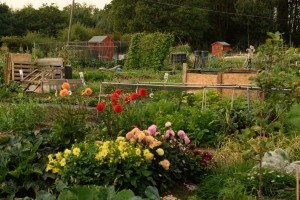 Swan Lake allotments, Yateley – 44 plots in a range of sizes. Site is under construction and is very nearly complete. The council are currently allocating these plots to the residents on the waiting list.